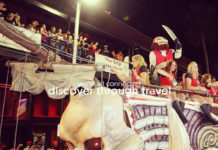 Home Travel by Photos What’s in Tampa? On Tampa Bay, along Florida’s Gulf Coast, is a city named after the many lightning strikes received in the area – Tampa may mean “Sticks of Fire” (derived from the Calusa language spoken by a Native American Tribe that lived in Tampa Bay area). Tampa is a major business center. Museums and other cultural offerings can be found there. Ybor City neighborhood, developed by Cuban and Spanish cigar-factory workers at the turn of the 20th century, is a wonderful dining and nightlife destination…What else can be found there? On the American Victory’s gunrig, photo by lauraschamberger. Visit the Victory ship, which saw brief service in the Pacific Theater of Operations during the waning months of World War II, Korean War, and Vietnam War. Walk where the US Navy men & women fought. Admission price if $10 per adult. Great place to spend a day. Take a day or two to experience the thrilling African theme park Busch Gardens. This 335 acre park hosts first-class roller coasters, rides and attractions. The park is open 365 days a year. The park is competing against Orlando‘s theme parks – Florida is big enough where pretty much all cities can have its own major theme park. Need a mix of excitement and learning? Take the whole family to the Museum of Science and Industry! The museum boasts over 450 hands-on activities (that’s crazy mucho! ), that is guaranteed to stimulate young and not-so old minds alike. Exhibits like “3D Printing the Future”, “Idea Zone”, or “Weathering the Storm” will jump start creative thinking, and don’t forget the obstacle courses like the “Sky Trail Ropes Course and Zip Line” or “High Wire Bike” that will make the little ones’ heart race (safely of course). Tickets are $20.95 for kids 3-12 and $26.95 for adults (3-59). Learn more at their site. Do what the locals do: visit downtown and take a stroll by the Hillsborough River. You’re free to walk around with open containers of alcohol, wish is great because you don’t have to chug your drink at one place to go to another…bar hopping without the stress. Enjoy a night out with a number of great restaurants and bars to choose from. The Riverwalk is great during day and night. Watch out for runners and bicyclists that use the sidewalk. Andy Tiger posing for his shot. Photo by fromohiotoflorida. 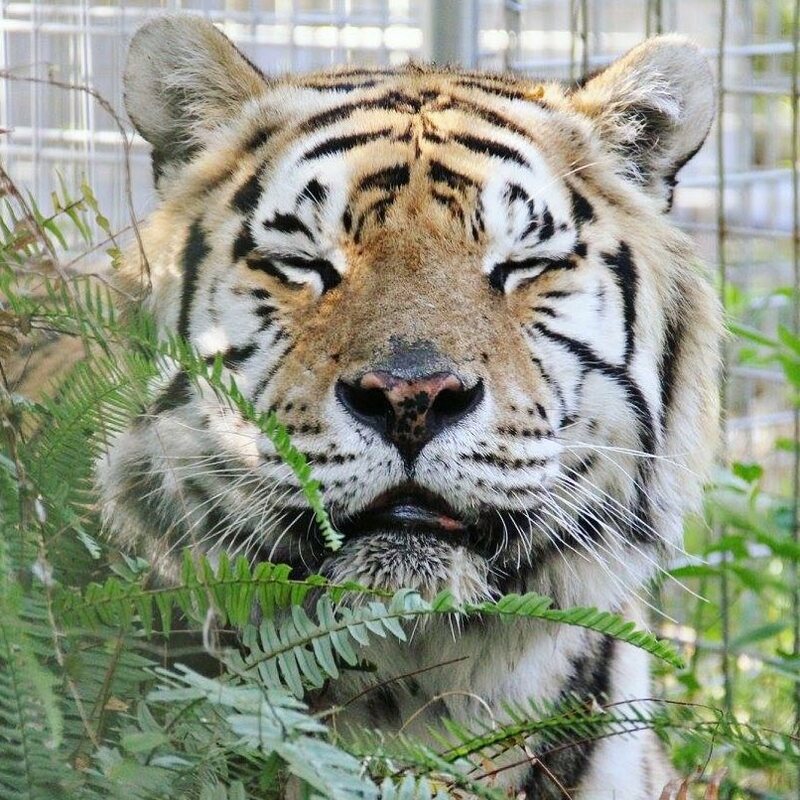 Largest accredited sanctuary for abused and abandoned big cats. They are home to 80+ lions, tigers, bobcats, cougars and other types of cats. Big Cat Rescue began rescuing exotic cats on Nov. 4, 1992 (nice!). Tickets range from $19 to $150. Visit their site. The Tampa Lowry Park Zoo boasts being the most popular zoos in the southeastern U.S., and it should be proud as it annually welcomes over 1 million animal lovers a year. The zoo rehabilitates animals and helps endangered, threatened and vulnerable species from climates similar to that of the Tampa Bay region, animals mostly come from Asia, Africa, Australia and Florida region. Visit their site for prices and current events. Children waving into the lake at Lettuce Lake Park in Tampa. Photo by aprilschmit. Why is the park named after a popular ruffage? Because of the swamp lettuce plants that grow in vast quantities here. Lettuce lake is not actually a lake, but a shallow body of water connected to the Hillsborough River at one end. … Lettuce Lake Park is open every day. Entrance is as their site reads: $2 per vehicle. Up to 8 people per vehicle. Rentals are extra. Penguins crate up! View video filmed by jasminelseales. Enter into a complex holding over 20,000 aquatic plants and animals from all over the world! Get captivated by exhibits like Stingray Beach (where you’ll be able to touch a shark! a bamboo shark…they’re kinda harmless, kinda..). Aside from wildlife and plant life you’ll find outdoor water adventures that will sure leave you soaked by water cannons, geysers and a climbing pirate ship for children of all ages. Courageous visitors are also welcome to swim with sharks & fishes or take a Wild Dolphin Ecotour across Tampa Bay aboard the Bay Spirit II. Learn more at their site.